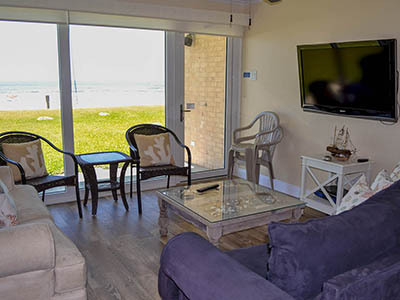 Each Gulfstream condominium offers all of the amenities of home, with two bedrooms and two baths, and most have sleeper couch to sleep six. 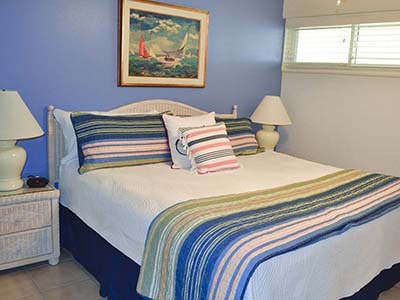 The condominiums are individually owned and decorated. All of the kitchens are fully equipped, so it is easy to prepare your meals in, if you’d like. However there are many great restaurants on the island that you might want to try, just minutes away! 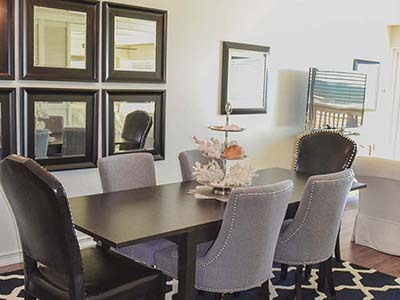 Our owners take pride in their unique remodels and furnishings. 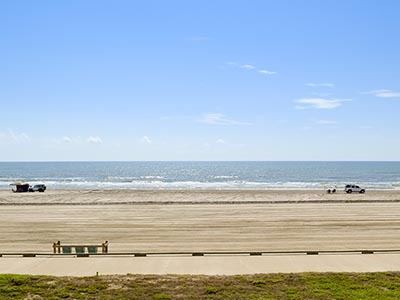 All of the condominiums have been totally renovated with updated kitchens and baths. Each one is different, take a look and book a visit soon! We are ready for you to come stay! 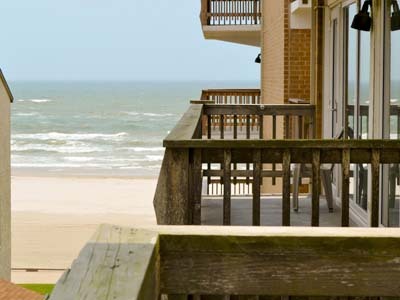 All first floor condominiums have walkout patios to grass, sand dunes and the beach, depending on the view. 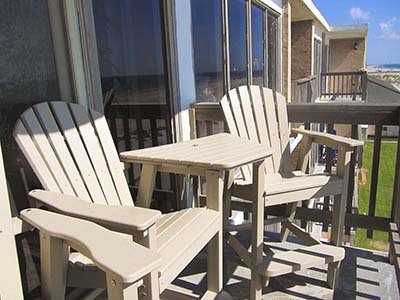 2nd through 6th floor condominiums all have balconies to watch the waves, dunes and sunrises. Our basic floor plan is an open kitchen, dining and living area that faces the wall of windows for your view. 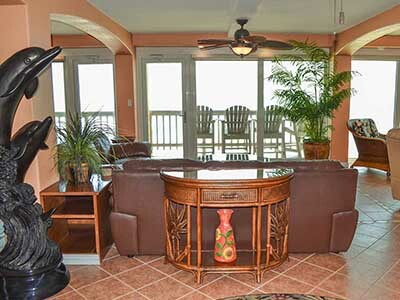 Gulf front units all have balconies or patios that are right on the Gulf of Mexico with amazing views of the beach, sunrise, and sunset. 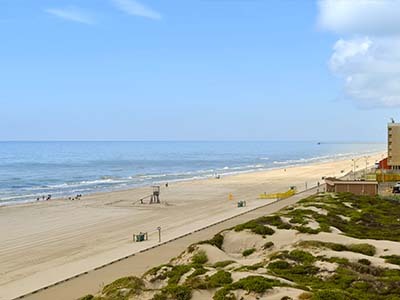 Gulf partial units face south and have views of the sand dunes and Gulf of Mexico to the left. North limited units have partial water views. Our living rooms are comfortable for relaxing with family and friends, or just watching some TV. 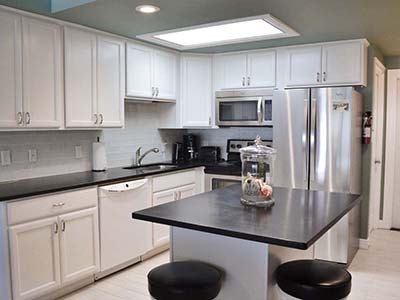 Our kitchens have all been remodeled to have all of the conveniences of home. 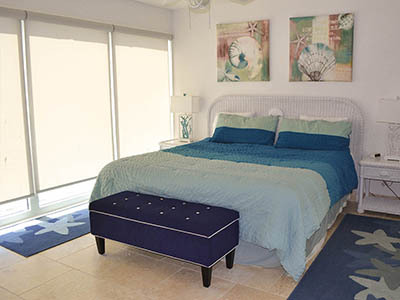 One bedroom is quietly located on the courtyard side of the condominium. The other bedroom closes off from the open living and dining area with sliding doors, giving a nice open feeling to the condo during the day; it has a wall of windows facing the view. Watch the moon over the water at night, and wake up to the sunrise on the horizon in the morning. 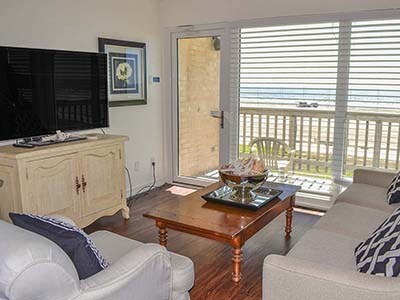 We do have one double unit (sleeps 12) and one penthouse (sleeps 8) that are available for rent.